This was delicious and easy! I didn’t have mirin so I mixed rice vinegar with sugar as a substitute. I also added some Sambal Oelek to add a little spice to the sauce. I used low sodium soy sauce and I didn’t find it too salty as some of the other reviewers said. Definitely stick with the low sodium! I love the technique of freezing the chicken breasts for an hour to slice them thin. It was so easy and the chicken cooked up so quickly. It reminded me of the way chicken is served in restaurants. 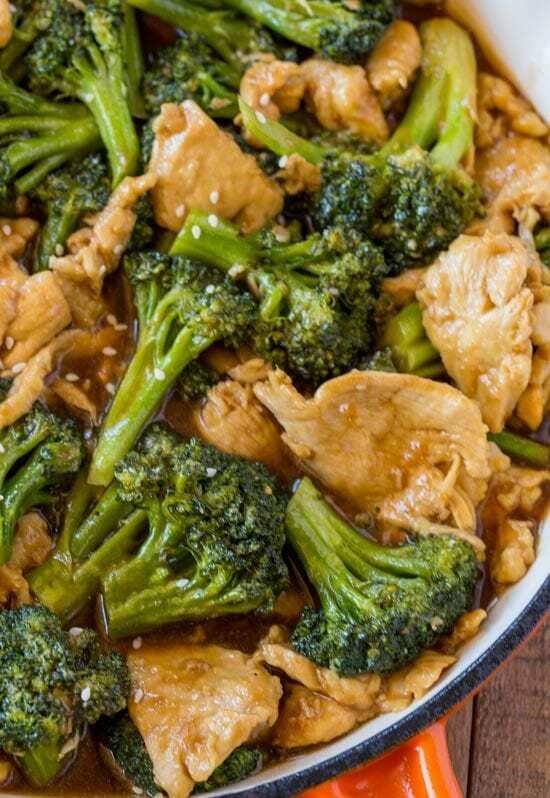 The sauce was delicious and went so nicely with the chicken and broccoli. I served in a bowl over some rice then drizzled some of the sauce on top. Delicious and healthy! I’ll definitely add this to my regulars. This was delicious, although a bit too salty. I’d use less soy sauce next time or maybe my brand was just saltier than average. My husband and son had theirs over rice, which “diluted” the salt. I ate it without rice, so the salt was more noticeable. We also added some fresh asparagus from our garden – delish! Hands down the best chicken and broccoli stir fry I’ve ever made! I thought I had fresh ginger at home, and didn’t, but even without it, it was incredible! I did put it in my WW app and it came out at 3 pts per serving (approx. 3/4C), instead of 4 pts. I added 1/3 cooked Korean rice for and extra 2 pts and it was a perfect meal! 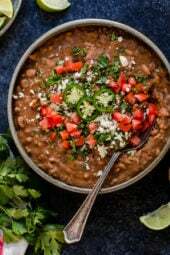 My boys absolutely love this recipe! They request it all the time. Loved it! Made a few changes to make it even lower carb. Substituted almond flour for cornstarch and swerve sweetener for sugar. Used cauliflower rice. Still delicious! Was a really good dish… A little too much prep for such a small dish… will def double things next time! I’m attempting to simplify my life by remaking meals more often. This is in my February rotation. I’d like to make a big batch of the sauce. How long would it last in the fridge? Should I store it in individual containers in the freezer? I followed The receipe including freezing the chicken and slicing it thin against the grain and my chicken came out like rubber. I have a weird thing about textures so the chicken was basically inedible. The flavors were great but not sure what i did Wrong with the chicken….any ideas?? If you overcook the chicken, it will get rubbery. You have to cook it on a high flame, hot and quick. 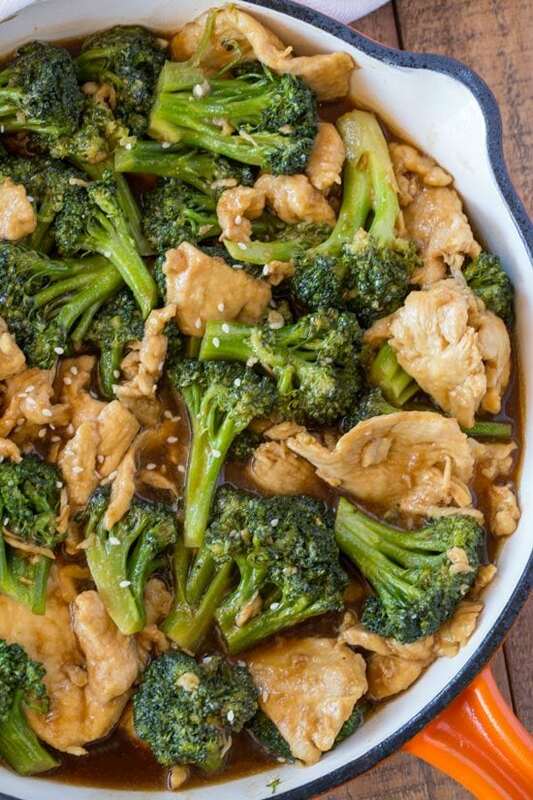 This was delicious!I added about 3 drops of sesame oil and about a two of minced Ginger to the sauce to add flavor (plus I have so much and need to use it lol)I served it with white rice for my family and I had brown rice noodles.I also parboiled the broccoli so it would be extra tender (my family is finicky about crunchy veggies! )I definitely recommend this recipe! Made this last night. A million thumbs up. Delicious!!! Will add a variety of veggies next time as other people suggested but it was delicious with only broccoli as well. Will make again. This was great and easy too! Added some carrots and sambal pork for extra flavor. I doubled the garlic and ginger too. Thanks for sharing! My husband said I could get a job at the local Chinese place! It was good. I didn’t add as much corn starch as we don’t like a really thick sauce. This was really good and quick to put together. I followed the recipe to the letter and next time I will double the broccoli. Or perhaps use 4 cups of mixed vegetables. Maybe add a little red pepper or chili oil. Just my preference. It was really good as is. Looks great ! I need to get the sugar out of it. If you have any ideas. This was really good! Was just looking for a quick, easy stir fry recipe, and this one is perfect. Tastes authentic. I added carrots and cooked them for about 2-3 min before adding the broccoli, btw. I used oyster sauce instead of the mirin and skipped the ginger (not a fave in my house). Def on my list to make again. My favorite place to come for recipes. Thank u Gina! I am absolutely in love with ur website. My wife, kids n I love to make use of ur recipes. I just made this today n will add baked crab rangoon n egg rolls with it. Thank u for all u do. Huge fan. Love to cook n bake. Nothing is impossible if u try n give it ur all. I didn’t have mirin, so I just ditched it all together! Subbed coconut oil for the sesame oil. I eat soy free so I used coconut aminos as a sub for the soy sauce….oh my yum!! Husband loved it too! Thanks for the recipe! So simply and delish! Great recipe! Working with what I had, I used a tablespoon of red wine vinegar and a tablespoon of Worcestershire in place of what I thought the mirin would taste like lol and it still was great. Also used about an eighth a teaspoon of ground ginger and the vegetable oil I had. Served over white rice and sprinkled on sesame seeds. Delicious! This is a current favorite in our household. Absolutely delicious and so easy to make! Slicing the chicken thinly really does make the dish so much better. And I could eat that sauce with a spoon! I’ve made this once a week for the past several weeks, with a few minor variations here and there, and it always turns out fantastic. Thank you Gina!! Delicious! Made it tonight and paired it with the cauliflower fried rice. I’d like to marinate overnight although it seems it does not need to be? I was going to make today but will make tomorrow instead and was curious about this. I made this today. I have changed a few things: I have marinated chicken in a little bit of sauce (for 30 min), I have added ginger and garlic to the sauce as well. Next, I have added a few thin sliced carrots and shiitake mushrooms. It was delicious. Thank you for the recipe. I will cook this again. Fantastic! This is one of my favorite things I’ve ever made. I don’t have mirin so I used rice vinegar instead and then added in 1 tsp extra sugar. I think it could have used a little bit more broccoli and it also really turns out to be more like 3 servings for me. Making it 4 makes the portions too light. Yummy & easy! Perfect weeknight meal! Thanks! This recipe was delicious and easy. I used the stovetop for the main dish and my instant pot to make the rice and it was like eating in a restaurant! Fantastic!!! The sauce is amazing. I doubled it because my husband likes to add rice and he likes lots of sauce. This will be going on regular rotation. Thank you!!! Honestly better than Chinese take out. Thank you, Gina! Another delicious meal! All the wonderful qualities of a great asian restaurant minus the grease and calories! Family loved it! Thanks for all the amazing, healthy and point friendly recipes. I did this recipe in non-stick skillet and just a mist of oil for each of the teaspoons. 4 servings at 2 freestyle points each!! This has now become a staple in our house. I usually double the recipe to have lunches for the week and leftover. Delicious and easy! Amazing!! This was another home run! I used rice vinegar instead of mirin cause its impossible to find in this town and it turned out fabulous! ! Will definitely be making again! I’ve made this twice and my family and I love it! Take out ain’t got nothin on Skinnytaste!! Such a great recipe that I will certainly keep on rotation. Made this last night for dinner… WINNER WINNER CHICKEN DINNER!! Tastes just like the stuff at the restaurant minus all the heavy starchiness and salt/MSG. Very easy and quick to prepare (I even used frozen broccoli and didnt mush up at all) and does help to slice the chicken while still slightly frozen to ensure thin slices. I made this last night; super delicious! I may steam the broccoli a little before adding it in the stir-fry next time. My broccoli was a little crunchy. The chicken came out tender and the sauce is YUMMY!! I will definitely make this dish again! This was a delicious meal! 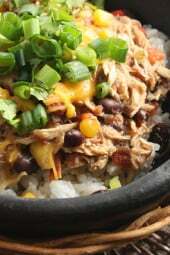 My husband is picky when it comes to eating healthier options and he really liked this dish. I did steam my broccoli while the chicken was cooking and then added it b/c I do not like my broccoli to be crunchy and I didn’t want to wait for it to soften on the stove…lol. I followed the recipe ingredients exactly and it was perfect. I will try adding red peppers next time as someone suggested. So good! Fresh ginger or dried ginger? I cooked this recipe with only one replacement – sherry for mirrin. The family loved it. Definitely adding it to my favorites list. Thanks so much for posting! You nailed it with this recipe. The sauce is excellent! I found mirin at Stop and Shop and I think it’s an important ingredient. I will save this over riced califlower next time. Delicious! Love this!! I made this for the second time last night and I added some red pepper, carrots and red onion. I served it over brown rice. and it was a hit! Thank you for all your great recipes! This is delicious! I used Marcela and sugar rather than the mirin . Had some cauliflower rice with it. Will definitely make again! This was great. Felt like I ordered takeout from Chinese restaurant. Glad you enjoyed it Terry! Finally!! 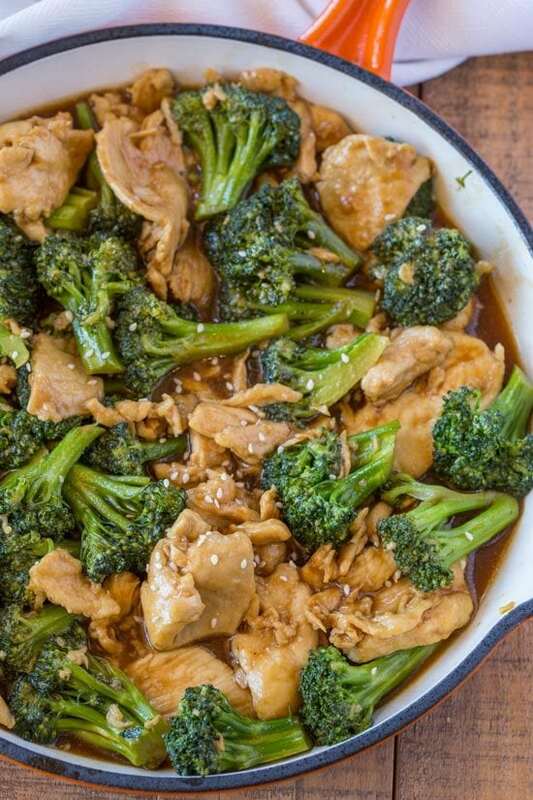 We’ve tried a ton of stir fry recipes and just can’t get the sauce close to that in restaurant take out, until this recipe! It was so good, we doubled the sauce. Plus is was fast and easy. Thank you!! Not sure why but this didn’t make 4 cups. Going to have to pay more attention next time to what I could have done wrong. Can’t wait to try it for dinner tomorrow night. Next time, I will double the recipe. It was so good, I would like to have more than one meal of this deliciousness! My husband loved it and he is a picky eater. He said it was one of his favourites and we could have it every two weeks! So delicious! Also, husband and 2.5 year old approved! Great recipe!! Tried it for the first time tonight with fried cauliflower rice and edemame. Everyone raved over it and agreed that we will have this often!! Thank you!! This was really delicious and easy! We will definitely be adding this to the rotation. I made this tonight and put on top of the skinnytaste cauliflower fried rice. We loved it and will definitely make again! Recipe was delicious! I ran into a problem as the broccoli didn’t cook as recipe is written. 2-3 minutes in open pan. Was broccoli supposed to be cooked in advance? I had to add water to the sauce and steam the broccoli in covered pan for 5 minutes. Tasted delicious, family loved it ? OMG! This was amazing! Another home run for Gina! The only thing I changed is that I blanch the broccoli separately. My kids are funny about broccoli in sauce. I mixed mine into the sauce. It was sooo good! Is the broccoli pre-cooked before adding? No. I didn’t and it came out fine. I did cook it a little bit longer than 3 mins. This was great! Doubled it but subbed rice wine vinegar for the mirin. The superthin chicken slices were tender and really stretched the meat. My super-picky husband ate seconds and did not complain about the ginger in the sauce. Everyone loved it! Thank you Gina! I made this for dinner the other night with cauliflower rice and brought leftovers to work the next day for lunch. Immediately had to print the recipe for a colleague (they’re always checking out my Skinnytaste lunches!). This was so quick to make and SO tasty! I’m already craving it again. Thanks Gina! Tastes great! Just like it’s from my local Chinese Restaurant! Quick and easy to make – love it! Excellent flavors, tastes like itcame from a restaurant!Quick and easy to prepare – love it! Needed a quick recipe for tonight and saw this one. Luckily i had all of the ingredients at home. It was DELICIOUS. Tasted just like my local Chinese restaurants chicken and broccoli. I doubled the recipe so I had something for lunch tomorrow, and my teenage son had four servings. Looks like I’ll be finding another lunch! For Smart point would you count the sauce a 4 then 3-4 for the chicken. Is there a way to make this recipe paleo? I subbed arrowroot starch for the cornstarch and coconut aminos for the soy sauce. Came out great. I did increase the chicken broth by about 1/3 cup bc I had some extra chicken and broccoli and the sauce still thickened nicely. Any replacements for the sugar? This sounds delish! Any substitutions for mirin? 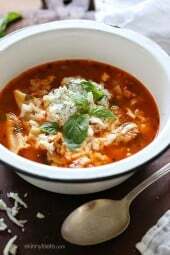 That’s the only ingredient I am missing and would love to make this tonight! Love all your recipes and cookbooks Gina! I’m in the same boat. Here’s what I found online: you can sub in a dry sherry or a sweet marsala wine. Dry white wine or rice vinegar will also do, though you’ll need to counteract the sourness with about a 1/2 teaspoon of sugar for every tablespoon you use. I looked online and it said to use white wine and sugar as a substitute for mirin. I used sake because that’s what we had on hand.